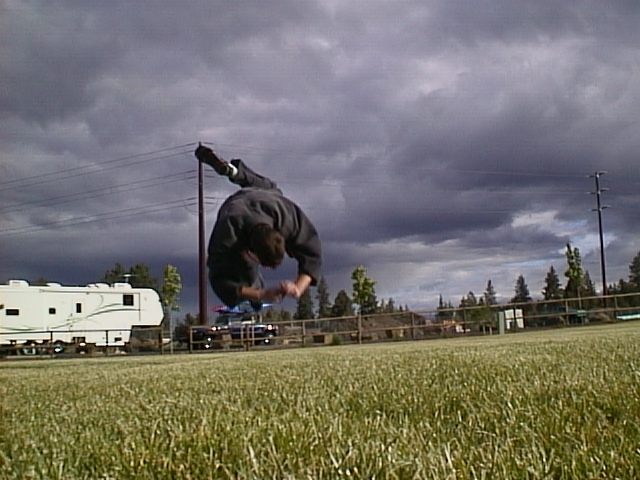 an example of a dive roll in action. 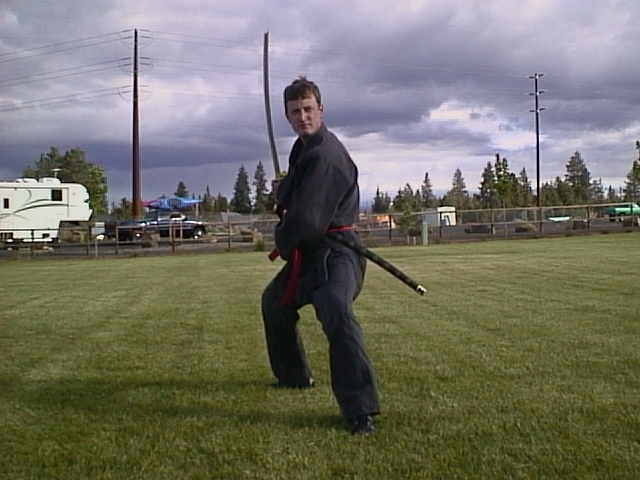 Mr. Hanson has been training in the Bujinkan for over seven years. He has also trained in many other styles before deciding that Budo Taijutsu was the art form that was the most effective for him. He has spent the last two years teaching under the authority of Shihan Bill Atkins and Sensei Jef Burgus. Mr. Crawford with the bo staff. Mr. Crawford has been training with the Bujinkan for Five years. He had studied several other martial arts before dedicating his time to Taijutsu. 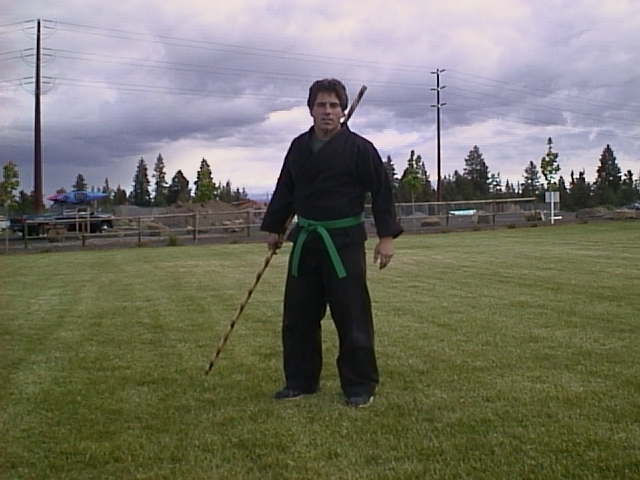 He is the senior student and assistant instructor for Central Oregon Bujinkan.